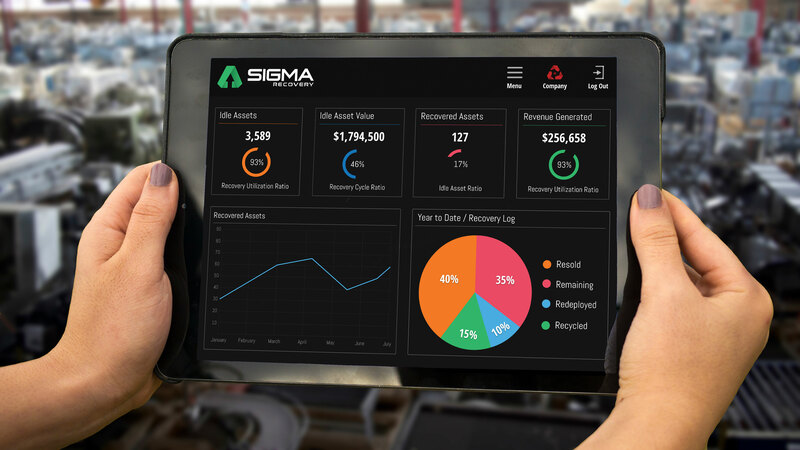 SIGMA Equipment, in Evansville, IN, announced today the rebranding of their Asset Recovery program, now known as SIGMA Recovery. The system combines cloud-based inventory software, centralized storage, value enhancement services, and sales expertise to help companies maximize the returns for their asset recovery departments. A company’s asset recovery department is responsible for recovering the value of idle or surplus equipment, usually through resale at an auction. SIGMA Recovery is designed to help those departments realize higher returns by focusing on redeploying idle equipment to other facilities, or selling the equipment on the open market before resorting to an auction. Eigenbrood joins the SIGMA team with 38 years of experience. He managed the Asset Recovery Department at Campbell Soup Company for 25 years, and he is a 20-year member of the Investment Recovery Association. “As I worked with SIGMA to develop this program, I was able to draw from my experiences to fill gaps that I have seen in corporate asset recovery departments,” said Eigenbrood. Rob Palmer, President, is excited to offer innovative solutions to a common problem. By upgrading the asset recovery program, SIGMA plans to use SIGMA Recovery to increase the variety and size of its sales inventory. To accommodate the expected increase in inventory resulting from the expansion of the program, SIGMA Equipment purchased a large warehouse near its main office. The warehouse is 460,000 square feet, bringing SIGMA’s total amount of storage space to 900,000 square feet. To learn more about SIGMA Recovery, visit www.sigmarecovery.com.